Why Is There No Generic Insulin? The price of insulin is soaring, and some patients are rationing their dosage and risking death. With millions of American living with diabetes, what can be done to help patients afford this essential drug? 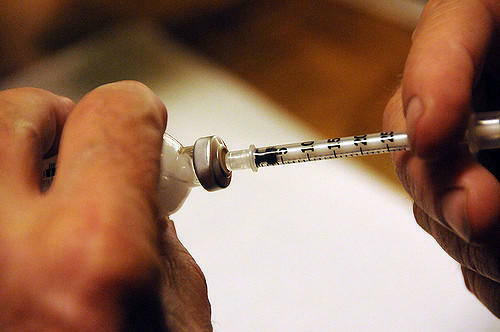 Hopkins internist and medical historian Dr. Jeremy Greene describes how innovation has upped the effectiveness of insulin in the 100 years since it was discovered. But that’s come at a steep price. Plus: David McShae is executive director of the American Diabetes Association, Maryland chapter. The organization advocates for the prevention and cure of diabetes; it fundraises for diabetes research and does educational outreach. Take the Type-II Risk Assessment here. Check out information about June's Tour de Cure walk/ride/run to celebrate those living with diabetes. When financial affairs have spun out of control, filing bankruptcy is an option … but typically a last resort. Recent research published as ‘Graying of U.S. Bankruptcy: Fallout from Life in a Risk Society,’ reveals that a growing number of adults 65 and older are choosing bankruptcy as their best option. We hear from Professor Deborah Thorne, a principal investigator for the ‘Consumer Bankruptcy Project.’ Then we ask Helene Raynaud, of the non-profit Guidewell Financial Solutions, how to avoid monetary crisis and stress. We are all better than our worst decision. That’s the message of “The Master Plan: My Journey from Life in Prison to a Life of Purpose,” a memoir by Chris Wilson. At 17, Wilson was sentenced to life in prison. Behind bars, he reflected on his troubled upbringing and focused on building a positive future. Wilson details his improbable path to freedom and the challenges he’s faced since returning home. He will be in conversation with Wes Moore on Saturday at 7 pm, at an Ivy Bookshop event hosted by the Church of the Redeemer - 5603 N Charles Street. You can also see Chris Wilson's art at an exhibit at the Peale Center. Or at the American Visionary Art Museum's exhibit "PARENTING: An Art without a Manual," through September 1. What impacts can we expect from the new policy of the Baltimore City State’s Attorney not to prosecute possession of marijuana? Former police detective Debbie Ramsay, now part of the Law Enforcement Action Partnership, urges prosecutors and police not to square off in opposition, but together to listen to how citizens want marijuana laws enforced.